A searching economic and political history of a dispossessed, impoverished Appalachia that progress has long eluded. 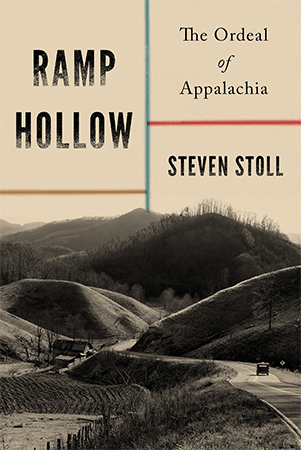 ...a powerful and outrage-making if somewhat academic analysis of the forces that have made West Virginia one of the sorriest places — statistically, at any rate — to live in America ... Ramp Hollow is not Hillbilly Elegy redux. Stoll does not relate his own story, and his book is not especially warm to the touch. But as economic history it is gravid and well made ... Stoll clings to a different vision of what the United States could be. His book becomes a withering indictment of rapacious capitalism. The author, an academic from Fordham University in New York, confronts his subject as you’d expect a history professor to do — his book is meticulously researched and draws on much of the rich scholarship dedicated to the region. But those who associate 'academic' with 'dry' will be pleasantly surprised; the book’s prose is light and readable. Though I sometimes found myself lost in the timeline that sprawls from feudal England to modern America, I thought Stoll told a complicated, multicentury story well ... Stoll’s criticisms of the market economy are sometimes needlessly polemic. Capitalism has its problems, of course. But Ramp Hollow is sometimes so earnest that it ignores obvious complications for its core thesis ... The book’s great strength is that it acknowledges something our politics often fails to: that not everyone wants the same things or possesses the same preferences ... I disagreed with much of this challenging, interesting and engrossing book. But it made me think. And that, it seems to me, is the whole point. By giving it a distinct pedigree, [Stoll] helps readers understand why Appalachia became poor and why it has stayed that way for so long ... Stoll is not the first academic to attribute Appalachian poverty to the influence of external forces. But his work is distinct in its emphasis on the practice of enclosure and his decision to connect Appalachia’s dispossession to the material dispossessions whites inflicted on freed slaves and that empires and transnational conglomerates later inflicted on colonial and postcolonial nations ... 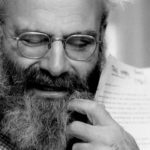 The book’s most significant flaw occurs late in its final third, when he veers sharply from analysis to commentary. Even so, it is a minor issue. Stoll’s insights on how Appalachia became what it is today are an important corrective to flawed commentary about a much-maligned place. What did you think of Ramp Hollow: The Ordeal of Appalachia?